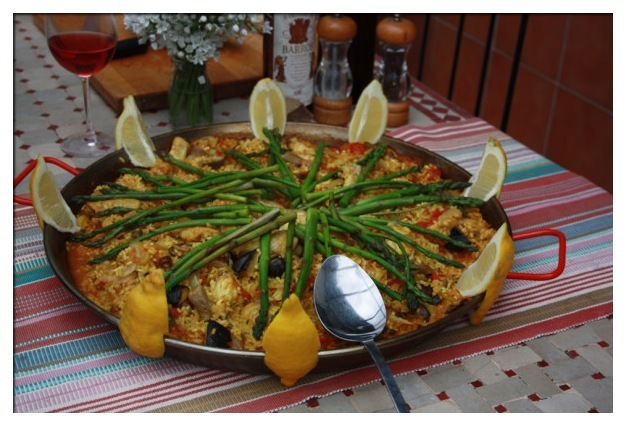 Paella Class | La Rosilla - Lifestyle and food. A fun filled day, learning, tasting & cooking. With memories to take home, and a new skill to impress friends on your return. Refreshments, Olive Oil and Fino Tastings, Ingredients, recipes, Paella for Lunch, Home Made Bread and Desserts. Pingback: Welcome to your home away from home!! | La Rosilla – Lifestyle and food.